Description: 1963 Gubernatorial election campaign. 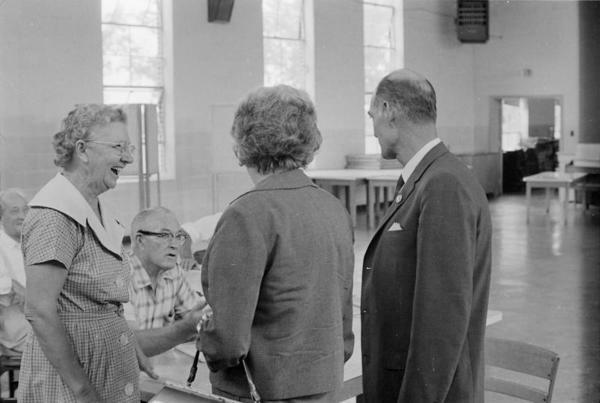 Lieutenant Governor and Mrs. Paul B. Johnson Jr., talk to poll workers at polling precinct. Unidentified location and date but newspaper articles in the Hattiesburg American indicate the Johnsons cast their ballots for both Democratic primaries, August 6 and 27, at the Central School Precinct, near their home just south of Hattiesburg.